Here are the top 10 summer vacation ideas we put together for you to consider. 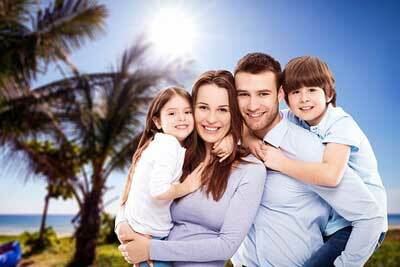 Below, you will find vacation excitement for you in many different areas of the world. Take a trip cross-country. If you don’t have a RV camper, then tent camp in some of the greatest areas throughout the country. See the Great Lakes, visit the Smoky Mountains of Tennessee, sleep by the Pacific Ocean and camp in the great outdoors. Barter your vacation. There are countless websites to check out for vacation bartering. If you live at the beach and want to visit the mountains, then check out a bartering vacation. Beach hop. Check out the beaches of the Carolinas or Florida and just stay somewhere different every night so that your kids can say they’ve visited some of the greatest beaches on the east coast. Travel to Europe and stay in some of the quaint European Inns. If you are up for it, then backpack and discover Europe the way college kids discover Europe. Summer vacations in New York City are only matched by a summer vacation in Paris and either location makes for a fantastic summer vacation. Take the family on a true extravagant vacation to Disney World. Stay at Disney’s Yacht and Beach Club for the ultimate in Disney’s vacation or stay at Disney’s Polynesian Resort. There are so many options for you, just search the web for the perfect Disney vacation. The Homestead in West Virginia is one of those rare finds for families who expect the best this world has to offer in an old family resort. Go to Atlanta and see an Atlanta Braves ballgame and visit Six Flags over Georgia. There’s so much to see and do in Atlanta that you will quickly see why it is the true playground of the south. Visit Key West and learn why many famous individuals find themselves in the Keys year in and year out. See the West. Visit Arizona and see the best sunrises in the world. Visit Nevada and Colorado. View some of the prettiest beaches in the states on the west coast and take time to see places like Las Vegas, Boulder, Denver, Seattle, Portland, Beverly Hills and every city of interest in the west.